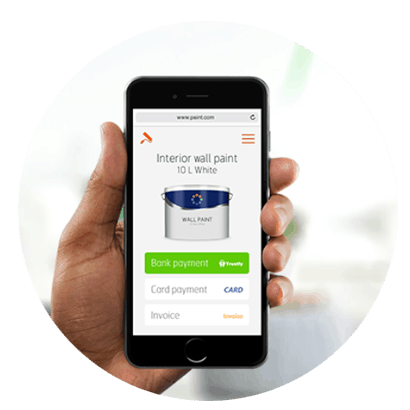 Shop and pay from your bank account in a simple, fast and secure way. Indeed, this sounds good. Even more, with online gaming, it seems even better. Furthermore, players are always looking out for payment alternatives that offer these perks and Trustly is one of such options. The payment option is relatively new. Since 2008, Trustly has expanded from just a few countries to 29 countries across the UK and EU. Also, while this payment method may not be at the same level with several other payment methods, it sure serves its purpose. This payment outfit allows users to make payments directly from their bank account. So, unlike other options, users do not have to create an account. 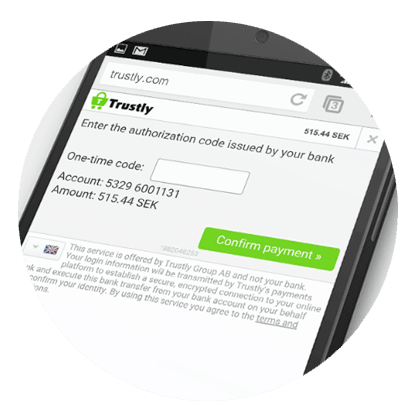 This means more security as Trustly is not a web-based payment option like Skrill or PayPal. Fortunately, it is a common payment method in many online casinos. You have to be from one of the 29 countries that supports Trustly. Also, the online casino must have it as one of the available payment methods. That being said, the process is straightforward. Unlike other payment methods, they do not require you to create an account. Trustly has a list of partner banks. So, once your bank is on the list, you are good to go. Having met all the requirements described above, you can proceed to make a deposit. Firstly, the cashier section provides a list of the available payment methods. Secondly, select Trustly, and you will be redirected via a pop-up screen. Thirdly, choose your bank, account type and fill the form provided. Afterwards, verify the details, enter the deposit amount and submit the request. Once the transaction is confirmed as successful, go back to the casino lobby, and the deposit would be there waiting for you. All things being equal, it is as simple and fast as described. Likewise, players can also withdraw funds directly to the same bank account using Trustly. The process is similar as described. However, the significant difference is that withdrawal may attract some additional charges. Also, the casino takes some time to verify the request, and this could take between 1-5 days. Yes, you can put your trust in Trustly to take care of your payment needs. Also, they are under strict regulations from the Swedish Financial Supervisory Authority. Hence, this means zero tolerance for inconsistency. Find all Trustly brands at our main page best casino sites.